← “Revival on God’s Terms” By Dr. Walter C. Kaiser Jr.
(1) Speak to people. There is nothing as nice as a cheerful word of greeting. (2) Smile at people. It takes seventy-two muscles to frown, only fourteen to smile. (3) Call people by name. The sweetest music to anyone’s ears is the sound of his or her name. (4) Be friendly and helpful. If you would have friends, be friendly. (5) Be cordial. Speak and act as if everything you do is a genuine pleasure. (6) Be genuinely interested in people. You can like almost anybody if you try. (7) Be generous with praise—cautious with criticism. (8) Be considerate with the feelings of others. There are usually three sides to a controversy; yours, the other fellow’s and the right one. (9) Be alert to give service. What counts most in life is what we do for others. (10) Add to this a good sense of humor, a big dose of patience and a dash of humility, and you will be rewarded many-fold. 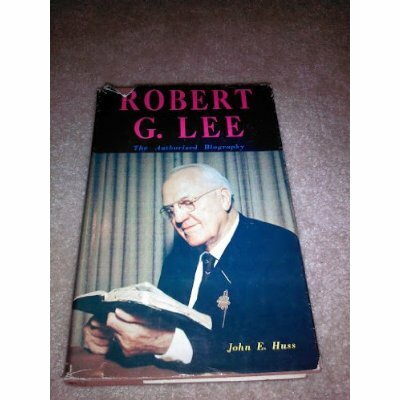 About the Author: Robert G. Lee, (1886-1978), Southern Baptist minister and leader, was born in Post Mill, South Carolina, the son of a devout Baptist sharecropper and his wife. Despite the family’s poverty Lee was able to attend Furman Prep School and after spending time working on the Panama Canal to earn enough money, attended Furman College, where he graduated with a B.A. degree in 1913. Believing he was called to preach, he refused an offer to take a position teaching Latin at Furman and accepted a position at a small church in Saluda, SC. Lee quickly gained a reputation for his pulpiteering and moved on in a progression of successively larger churches until accepting the pastorate of Bellevue Baptist Church in Memphis, TN in 1927. He spent the next 33 years at Bellevue, during which Sunday morning attendance grew from a more-than-respectable 2,000 to nearly 10,000 per week. During his time at the church Lee earned a national reputation as a master preacher, publishing over fifty volumes of his sermons and delivering his most famous sermon, “Payday, Someday”, nearly 1,300 times to audiences around the world. Lee served five years as the president of the Tennessee Baptist Convention and three years (1948-1950) as president of the Southern Baptist Convention. Although a Southern Baptist loyalist, Lee was well-respected both within post-war evangelical networks and the separatist ranks of the fundamentalist movement. For further reading, see John E. Huss, Robert G. Lee: The Authorized Biography (Zondervan, 1967).